All types of gas heating installations. We can offer longer Vaillant warranties. From outside taps to house re-pipes. We Can fix any leaks you might have. SKG are a family run business established with over 20years experience and offer our professional services to domestic customers. We cover the local Midlands & Warwickshire areas including Coventry, Bedworth, Nuneaton, Leamington Spa, Warwick, Kenilworth, Rugby and the villages in between. 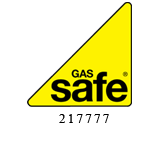 We carry out all types of heating, gas, plumbing installations and repairs and although we are Valliant approved we can advise, provide and install all types of replacement boilers. As well as plumbing work we do all types of bathroom fittings, from simple repairs to complete new bathrooms. We have a vast experience of pipe work and no job is too small or too difficult. We are qualified to carry out Landlord inspections for you and give you peace of mind for your property. We are professional in our workmanship and take pride in what we do. The proof is in the number of our regular customers who come back to us and who recommend SKG to their friends and family. 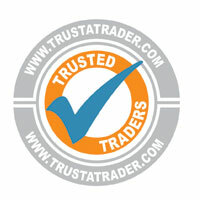 See trustatrader.com for our latest reviews. Why are you still reading this …. give us a call for a free quote or fill in the contact form below and we will call you back.